The Big Lottery Fund (BIG) has awarded £1.2 million to the Plunkett Foundation to support woodland social enterprise schemes. The Plunkett Foundation helps communities to take control of their challenges and overcome them together. It supports people, predominantly in rural areas, to set up and run life-changing community co-operatives; enterprises that are owned and run democratically by large numbers of people in their community. o and everything in between. The Big Lottery Fund says the scheme will provide training, volunteering and employment opportunities to 500 people and will support, advise and train 50 groups in the UK to establish woodland social enterprises. Figures from the Forestry Commission showed that 47 per cent of woodland is unmanaged or under-managed, which could threaten the variety of plant and animal life. Better management could help preserve and increase the biodiversity of these areas and increase wood fuel production. o The Blarbuie Woodland Enterprise in Argyll, which has provided the residents of an adjacent long-stay hospital with access to activities including arts and crafts, wildlife walks and training and employment opportunities. Funding for Making Local Woods Work, which will be run in conjunction with partners including the Woodland Trust and the Forestry Commission, has come as the result of an application made by the Plunkett Foundation under BIG's single awards scheme, which has since been discontinued, a BLF spokeswoman said. Peter Ainsworth, chair of the BLF, said: "There aren’t many woodland social enterprises around yet, but where they do exist they have a great record of promoting skills and employability. It’s exciting to be able to support this initiative, which aims to improve the quality of life of those directly involved and also make woodlands more accessible and better looked after for the benefit of all." For further information, go to the Big Lottery Fund website. For details about the work of the Plunkett Foundation, follow thisLINK. Two Powys groups are celebrating the news that they have been awarded Big Lottery People & Places Funding. Machynlleth, Community Action Machynlleth and District are awarded £71,916 to expand a drop-in facility for people experiencing mental health issues, and will enable them to benefit from a support network as well as therapy through activities. The Bracken Trust, Llandrindod Wells have been awarded £214,218 to provide enhanced nursing care, complementary therapies and counselling support, expand its home visit service and introduce an out of hours service. The project will also promote cancer awareness through networking with local GPs, schools, hospices and focus on specific under-represented groups such as agricultural workers. The three year grant will be used for salaries, project delivery expenses including transport and overhead costs. • Charities for people fallen upon hard times - disabled, hospices, ex-services, natural or man-made disasters, mental health and homelessness. • Medical care charities - care specifically aimed at benefiting older people, to include Alzheimer's, Macular Disease, Prostate Cancer, and Parkinson's Disease. Grant awards during the financial year ending 5 April 2014 varied between £300 and £300,000. The vast majority of awards were under £10,000. During the financial year the Trust allocated £804,448 in grants, an increase from £641,674 the previous year. Although there is no geographical limitation on applications, requests from charities in the preferred locations of Lancashire, Cumbria, Greater Manchester, Cheshire and Merseyside tend to receive priority over applications from other parts of the country. The Trustees place a strong focus on small to medium-sized charities where grants will make a difference. Applications from large well-funded charities (with income in excess of £2.5 million per annum) will normally be rejected, unless the project is a capital project. The Trustees’ preference is to support capital projects or project driven applications and not running costs or general operating expenses, although the Trustees are flexible to take account of the needs of smaller charities which operate in the Trust's preferred locations. For charities in this category consideration will be given to supporting revenue projects and running costs in addition to capital projects. Registered charities in the United Kingdom are eligible to apply. The next application deadline is Wednesday 30 September 2015. The Paul Hamlyn Foundation, which closed to applications in October 2014, has reopened with a new strategy focusing on 6 new priorities relating to the changes it wishes to see in the UK. The strategy will run from 2015 to 2021. 1. Supporting imaginative people to nurture exciting ideas. 2. Widening access and participation in the arts. 3. Improving people's education and learning through the arts. 4. Showing that the arts make a difference to people's lives. 5. Supporting the development and growth of organisations investing in young people and positive change. 6. Improving support for young people who migrate, and strengthen integration so that communities can live well together. The Paul Hamlyn Foundation is one of the UK's largest independent grants- makers, allocating around £20 million in grants annually. The Foundation has designed some new funds to support its new priorities and plans to give £25 million in grants (an increase of £5 million) each year to not-for-profit organisations in the UK working toward these new priorities. Some of the funds have just opened to applications and others will open in the autumn. It is also continuing with many of its existing programmes. o Shared Ground Fund offers grants for not-for-profit organisations to test new approaches and explore ways of addressing new migration challenges. There are two different grants: Explore and Test grants, which is open now; More and Better Grants, which will open in the Autumn. o Youth Fund offers core-cost support (grants of between £10,000 and £60,000 for up to two years) to developing not-for-profit organisations working to enable young people to reach their full potential. It is particularly interested in young people aged 14-25 who are in precarious positions and struggling to make critical life transitions because of disadvantage and lack of resources, social exclusion and stigma. Applications may be made at any time. o Access and Participation Fund provides grants for not-for-profit organisations to widen access to and deepen participation in the arts. There are two different grants: the Test Fund and the Development Fund. o Ideas and Pioneers Fund is for individuals and teams, including those working within small organisations, which have ideas for improving the life changes and opportunities of individuals and communities. o Arts-based Learning Fund is for arts organisations (charities, community organisations, social enterprises and not-for-profit companies active in the arts) working with schools, further education colleges and teachers. Applications can be made at any time with three application deadlines each year at the beginning of November, March and June. o The Teacher Development Fund (expected to open in the Autumn) aims to help teachers develop their skills to deliver arts in schools. Full details can be found on the Paul Hamlyn Foundation's new website. The session will take about an hour with a short presentation about the Community Facilities Programme and an opportunity to ask questions. This capital grant fund aims to develop and improve facilities for communities in order to tackle poverty and its effects. The programme is community based and is open to community and voluntary sector organisations, including social enterprises. We are looking for projects that increase opportunity and tackle poverty within their community. Up to £500,000 is available for facilities. The Department of Energy and Climate Change is inviting Third Sector organisations in the UK to apply to its £1 million energy advice grants programme. Now in its third year, the Big Energy Saving Network (BESN) is a £1 million programme of training, support and grant funding for legally constituted Third Sector organisations and community groups able to deliver an extensive programme of outreach to vulnerable consumers. Activities should be focused on helping clients reduce their energy costs through assisted action on tariffs, switching and the take up of energy efficiency offers. • Provide assisted action for the maximum number of vulnerable consumers possible with the funding available, helping them save money on their energy costs through attendance at BESN Champion and/or Volunteer led outreach sessions. • Deliver a training programme to frontline workers who come into regular contact with vulnerable consumers, in order that they can give direct help and advice to clients to help them save money on their energy costs where practical. The programme of outreach will be led by 170 specially trained Network Champions that will co-ordinate the training of further volunteers and frontline workers. These volunteers and frontline workers will in turn deliver proactive advice to consumers on energy issues via an assisted action approach. Each grant award is for a total of £5,000 per 'Champion', which is made up of an initial £4,000 grant to be followed by a further payment of up to £1,000 if the agreed objectives of the grant are met in full. o Other associated expenses to run events and/or make home visits. The outreach programme will run through autumn/winter 2015/16, with outreach activity concluding on 21 March 2016. The deadline for applications is 10pm on Friday 17 July 2015. Full details can be found on the GOV.UK website. The BIG Lottery Fund, in collaboration with The Lloyds Bank Foundation, has established what it claims as the UK's first ever Homeshare Programme. The three-year, £2 million investment initiative aims to tackle the lack of affordable housing for young people and the growing number of older people who are lonely or isolated by matching young people seeking affordable accommodation with older people who have a spare room. No minimum or maximum award levels are provided by the BIG Lottery. The budget for this round is, however, given on the BIG website as £900,000. Typically, the younger party is expected to pledge approximately 10 hours of companionship and light domestic help (not including personal care) to their host in return for accommodation, and both parties would contribute an affordable monthly fee to cover the cost of the scheme and to ensure that the service remains sustainable. The Programme begins this month with the first two pilot initiatives being run by Age UK Oxfordshire and Novus Homeshare due to start. The BIG Lottery Fund is keen to support a number of additional Homeshare pilot developments throughout the UK, and is currently inviting applications. • Unincorporated associations set up as voluntary and community groups. • Not-for-profit companies limited by guarantee. • Town or parish councils. • Statutory bodies, including schools. Partnerships between the voluntary and community sector and the statutory sector are strongly encouraged. • Broaden the appeal of Homeshare as an affordable solution to reducing isolation and loneliness for older people. • Develop the Homeshare model in order to support those most in need, including people with disabilities and carers. • Identify and address barriers to accessing Homeshare schemes. • Build relationships between organisations and/or sectors by working in partnership. • Share learning about how to support the sustainability of the Homeshare. Further information on the scheme is available from the BIG Lottery Fund’s website. Initial Expressions of Interest are due by midday on Thursday 2 July 2015. The DM Thomas Foundation for Young People, formerly known as the Hilton in the Community Foundation, supports registered charities working with disadvantaged children and young people. The Foundation aims to help young people gain skills through education projects and relieve suffering through health-related initiatives. Charities must work directly with young people up to the age of 25 or provide facilities for their direct benefit. • Young People and Health - The Foundation is committed to relieving suffering and supporting young people whilst they are undergoing treatment and care. Health funding generally will be given for medical equipment, care facilities, activity based holidays, proactive health awareness campaigns and hospices. • Children and young people with disabilities. • Children and young people who are sick in hospital. • Children and young people who are homeless. • Children and young people who are life limited and who require palliative care. Grants up to £30,000 are available. Grants for up to two years can be awarded. During the financial year ending 31 December 2013 the Foundation awarded grants totalling £1,726,761 (2012: £1,364,392). Around 50% of applications received from South West charities were successful in securing a grant. • An income of below £2 million. • Management and administration costs (including fundraising costs) of 30% or less of their annual expenditure. 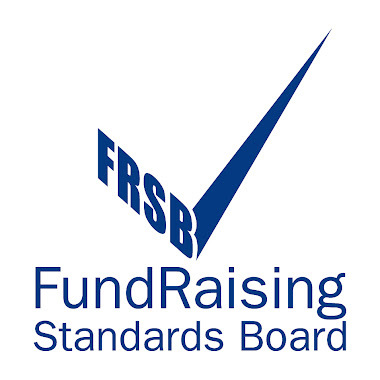 • Been registered with either the Charity Commission for England and Wales, the OSCR in Scotland or the Irish Charity Register for a period of at least 12 months before the Foundation can consider awarding funding. • Completed their reporting (eg annual return) to these monitoring bodies. The Foundation will prioritise support to charities that demonstrate community involvement and volunteering opportunities as part of their working practices. o Requests solely for staff salaries or other staff costs. o Where outcomes are unclear or where the grant will not make an impact. o Medical research, individual medical treatment. o Capital appeals or construction of new buildings. o Work with only boys or only girls. You can find the full list of exclusions HERE under paragraph 4.2. Application forms are available to download from theFoundation's website. An electronic copy and a hard copy of the application should be submitted along with the supporting information outlined in the guidelines. o Friday 13 October 2015. PLEASE NOTE: Unsuccessful applicants are asked not to reapply for at least 12 months from the date of their rejection letter. Successful applicants are asked to wait five years before reapplying. POWYS VOLUNTEER OF THE YEAR - DEADLINE EXTENDED!!! Great news - the deadline for nominations for Powys Volunteer of the Year has been extended to 2pm on Thursday 18th June 2015. Do you know an individual who volunteers? Do you know a group that makes a difference to people's lives through volunteering. This is an opportunity to celebrate these individuals and groups and the contribution that they make. Powys as a community has a long and varied history of volunteering, and the awards provide an opportunity to acknowledge the unsung heroes of our communities and celebrate volunteering at its very best. The Edith Murphy Foundation offers grants to charities working in the UK. o Relief for those who by reason of their age, youth, infirmity, disablement, poverty or social and economic circumstances are suffering hardship or distress or are otherwise in need. o Relief of suffering of animals of any species who are in need of care and attention and the provision and maintenance of facilities of any description for the reception and care of unwanted animals and the treatment of sick or ill-treated animals. o Donations to any charitable institution or foundation at the discretion of the Foundation. Grants are normally between £500 and £5,000, although larger grants are made in some circumstances. UK registered charities are eligible to apply. PLEASE NOTE: the Foundation will give priority to national charities and charitable causes in Leicestershire and the East Midlands. However, it will support projects outside of these priorities. The application process is ongoing and interested applicants may apply at any time. • The full name and address of the charity to which correspondence should be sent and cheques made payable in the event of a grant being made. • A brief description of the charity and its activities if this is a first application. • What the grant is for. • How much any specific item will cost. • Other fundraising activities being carried out and the amount raised so far. A set of accounts is not essential but desirable. Email applications are not accepted and email enquiries are discouraged. For further information about the Edith Murphy Foundation, visit itswebsite. POWYS BUSINESS AWARDS - SOCIAL ENTERPRISE & CHARITY AWARD - NOMINATE NOW!!! The Powys Business Awards for 2015 were launched at County Hall in May, with a view to promoting local businesses, and once again the “Social Enterprise and Charity Award” is being sponsored by one of the Counties biggest social enterprises, Mid-Wales Housing Association. This award is open to any charitable organisation or a community/social enterprise trading in Powys with a social purpose and/or a not-for-profit basis. The judges will be looking for an innovative approach to the way in which the enterprise operates and/ or meet its own primary objectives, makes a positive impact on society/communities and/or environment and projects that have the potential for future development growth and sustainability. The Forbes Charitable Foundation offers grants to registered charities working in the UK to support organisations or individuals involved with the care of adults with learning difficulties. Grants up to £5,000 are available. Preference is given to small and medium sized organisations. During the financial year ending 5 April 2014, the Foundation supported a total of 39 organisations to the value of £357,531. However, this included one grant of £183,218 to Care Fund Ltd as a contribution towards the building costs of nine flats for people with learning disabilities. o Plant, machinery or other equipment. o Vehicles for the transport of learning disabled adults. o Costs of training towards employment. Applications should arrive by the last day of February, June, or October to be considered at the next Trustees’ meeting. Applicants are advised not to submit a completed application too far ahead of the next closing date. The next application deadline is Tuesday 30 June. Application forms are available to download from the Foundation's website. Applicants should enclose a copy of their latest audited accounts with their application form. Accountancy software company "Sage" will launch a new Foundation in October 2015. The Foundations will be offering two free accountancy products to any charity, as well as grants worth around £5m a year, and five volunteering days from each of its 14,000 employees. It will operate on what it calls a "2+2+2" basis - donating 2 per cent of employee time, 2 per cent of free cash flow, and two "smart technology" products per charity or social enterprise. The company operates in 24 countries, so not all these resources will be distributed in the UK. The Sage Foundation will also give grants to create entrepreneurial opportunities for the young and disadvantaged within communities, as well as grants to match employee charitable donations and fundraising. The foundation will not itself be a charity, but will distribute money through a charity bank account - where money is donated into an account which attracts charitable tax relief, and then distributed at the donor's direction. 6 Powys groups have been successful in their application to the Big Lottery Awards for All Scheme. A total of £23,309 has been awarded between them. Well done to you all, and good luck with your projects! o Self esteem for young people aged from 8 to 18 years. Youth organisations in the UK which are affiliated to either Ambition or UK Youth are eligible to apply. The average grant is between £250 and £600 but sometimes grants are provided for more or for less. Funding is available for the improvement of youth club premises, equipment and facilities. Youth clubs are expected to help raise some of the funds. • Benefit young people from 8 to 18 years old. • Have sustainability beyond one year. • Demonstrate involvement from young people in raising funds. • Revenue costs, such as administrative/salaries, hire costs or travel. • Applications which mainly benefit youth workers such as office equipment. • Organisations that are not affiliated Youth Clubs. o £209,079 was donated to individuals. Do you know an individual or an organisation that goes the extra mile through volunteering? Previous winners have given exceptional commitment for the benefit of others. The activities that they participated in were numerous. For example, it could be someone who helps out at a sports club, a village hall, youth club, charity shop, community car scheme, or a trustee or committee member of a community group or voluntary organisation. § Groups - two or more individuals forming a group that carry out a task, activity or project. This can either be a) a purely voluntary run group or b) a group of volunteers within an organisation with paid staff. For organisations with paid staff the nomination has to be for the group of volunteers, rather than the organisation. § Nominations will be allocated to a category on receipt at PAVO. As a prompt for nominations the categories this year will include: Green (environment), Community, Wellbeing, Sports, Trustee, Culture, Youth and Group (see above for definition). § There will be an additional Outstanding Contribution award, selected from the nominations from the other categories. Deadline for receipt of nominations is Friday 12th June 2015. The Welsh Government hopes to open these funds for applications in June, after which you will have 8 weeks to apply for the small scale stream and 12 weeks for the larger scale. We will let you know in this newsletter when we hear. For more information, visit the Welsh Government website. Ydych chi’n hoff iawn o’ch eglwys, yn dwli ar eich llyfrgell neu wrth eich bodd â’r dafarn leol? Rhwng 21 Mai tan 11 Medi, mae Llywodraeth Cymru’n ymgynghori er mwyn cael eich barn ar sut y gallwn ddiogelu ein hasedau cymunedol ar draws Cymru. Dyma’ch cyfle chi i roi gwybod i ni sut y gallwn ni eich helpu chi i ddweud eich dweud ar sut mae rhedeg y cyfleusterau lleol sy’n bwysig i chi. Heddiw, croesawodd y Dirprwy Weinidog Ffermio a Bwyd, Rebecca Evans y newyddion bod y Comisiwn Ewropeaidd wedi rhoi cymeradwyaeth ffurfiol i’r Rhaglen Datblygu Gwledig (RDP). Do you cherish your church, do you love your library, or are you maybe just partial to your pub? From 21 May to 11 September the Welsh Government is running a consultation to gather your views on how we can protect our community assets across Wales. This is your chance to tell us how we can help you have a say in how the local facilities that are important to you are run. Deputy Minister for Farming and Food, Rebecca Evans welcomes news that the European Commission has formally approved Wales’s new Rural Development Programme (RDP). Copyright © 2015 Arwain, All rights reserved. You are receiving this email because you are either already registered with the Powys PRP or have opted to join receive communications from us via email. Rwy'n falch o'ch hysbysu bod Powys wedi llwyddo i ennill ychydig dros £5 miliwn o dan raglen LEADER 2014 - 2020. Rhagwelir y derbynnir cymeradwyaeth ffurfiol yn ystod mis Gorffennaf ac wedi hynny byddwn yn gallu cychwyn ar y gwaith o ddatblygu a darparu gweithgarwch y prosiect. Sefydlwyd Grŵp Gweithredu Lleol Powys yn Un i ddarparu’r Rhaglen a chyflwynwyd Strategaeth Datblygu Lleol i Lywodraeth Cymru sy’n amlinellu’r anghenion a’r amcanion. Mae’r Grŵp am wybod a oes gan eich sefydliad, eich grŵp neu eich busnes chi syniad am brosiect arloesol sy’n taro â themau LEADER ac amcanion y Strategaeth Datblygu Lleol. Trwy’r Datganiad o Ddiddordeb, cawn gwell dealltwriaeth o anghenion a’r problemau sy’n wynebu cymunedau Powys. Nid yw'r ffurflen Datgan Diddordeb hon yn ffurfio rhan o'r broses ymgeisio, ond bydd yn rhoi gwybod i ni sut y dylem fod yn blaenoriaethu galwadau am gyllid yn y dyfodol yn seiliedig ar anghenion ein cymunedau a'n busnesau. Os hoffech weld y Ffurflen Mynegi Diddordeb a’r nodiadau cyfarwyddyd sy’n rhoi cefndir i raglen LEADER a nodau’r cyllid, cliciwch ar y botymau isod. Os oes gennych unrhyw gwestiynau, mae croeso i chi gysylltu â ni. Mae’r manylion isod. We are pleased to inform you that Powys has been successful in gaining just over £5 million under the LEADER 2014 – 2020 programme. It is anticipated that formal approval will be received during July and thereafter we will be able to commence developing and delivery of project activity. 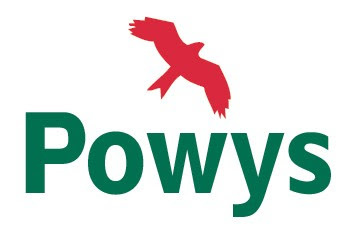 The One Powys Local Action Group (OPLAG) has been formed to deliver the Programme and have submitted a Local Development Strategy to Welsh Government outlining the needs and objectives. The OPLAG would like to know if your organisation, group or business has an innovative project idea that fits with the LEADER themes and Local Development Strategy objectives. This Expression of Interest (EOI) will help us gain a better understanding of the needs and issues being faced by our communities in Powys. This EOI does NOT form part of the application process but will inform us of how we should be prioritising future calls for funding based on the needs of our communities and businesses. If you would like to view the Expression of Interest Form and guidance notes that provide a background to the LEADER programme and the aims of the funding please click on the buttons below. If you have any questions, please do not hesitate to contact us using the details below.